Despite having spent the better part of the last decade tearing up and ripping down basement clubs and pubs around the world, perennial road warriors, Die! Die! Die! have always found the time and space to record. To this end, the Dunedin-formed trio have built up a solid catalogue of post punk, noise rock, which is an almost perfect reflection of the dingy confines they would haul in and out of each night. However, the release of S W I M (an internet acronym for Someone Who Isn’t Me), signifies a marked change in the composition of the band’s sound. While the bass-driven groove from later records continues to drive the core sound, there is almost a lightness to this record that constantly threatens to explode like the leaked sunlight between heavy black curtains in the middle of the day. 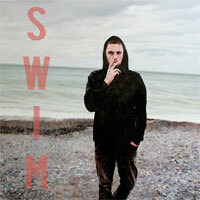 Less organic than earlier records, S W I M feels designed and created with intention rather than pieced together. Tracks like the outstanding ‘Don’t Try’ exemplify this effect. Andrew Wilson’s fist-in-the-air chorus is lifted high upon the shoulders of a seismic bassline and lofty guitars. It’s the sound of a band managing to marry filth and beauty, and making both look like fun. Make no mistake, these songs still have the DNA of the band’s basement origins, but shut your eyes in the middle of that sweat clad pit and you just might be transported somewhere far more salubrious.